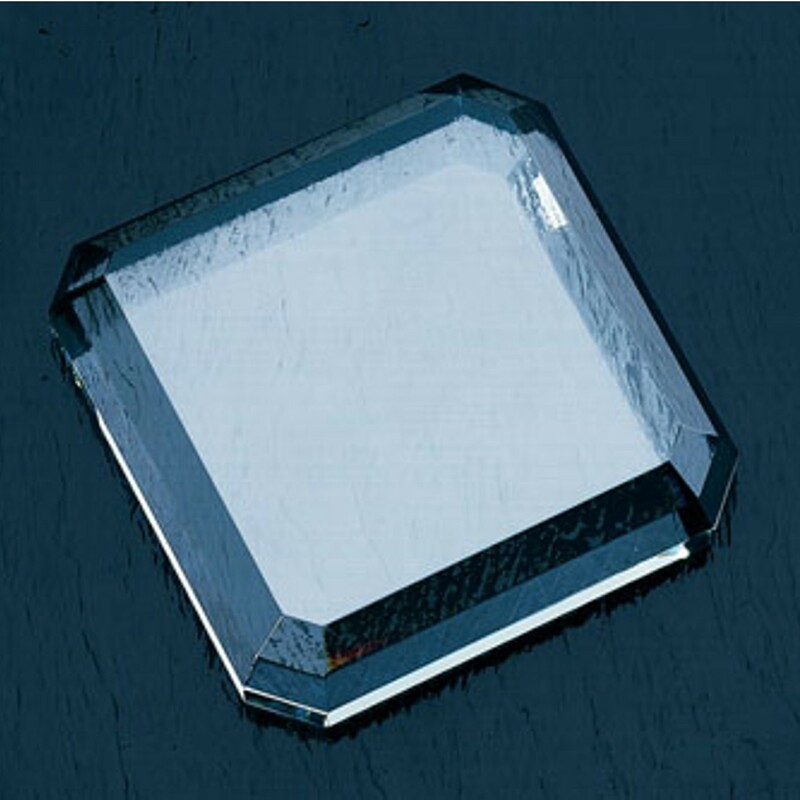 The Engraved Clear Glass Square Paperweight is a superb gift for your boss or colleague. Made of starfire clear glass from Germany, this paperweight presents high clarity and remarkable beauty. It has a beveled edge and angled corners to catch the optimum amount of light. Measures 3" by 3".